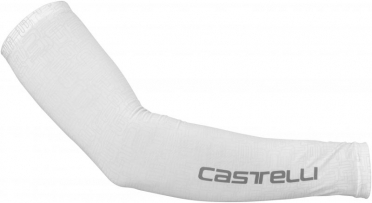 Castelli Chill Sleeves 14115-001 are made with our new Prosecco Ice fabric. It’s got its Xylitol so it feels cool so you still get your placebo effect. But it also has the heat-sensitive Castelli print that turns invisible as it warms up. That’s a visual reminder to you to pour some water over the arm coolers to keep them moist. 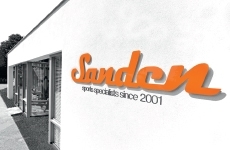 The nylon based fabric will hold the moisture for maximum cooling as it evaporates. It’s UPF 50 protection keeps the UV rays out. Tip: keep in mind that the Castelli clothing fits smaller than normal. 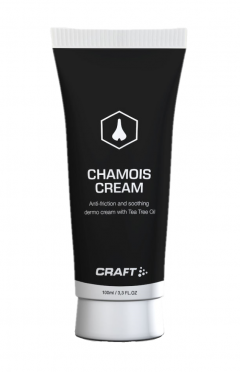 The Craft Chamois cream 100 ml is a Non-unctuous emulsion to protect, hydrate and soothe the skin in the zones most exposed to friction while pedaling. Apply the cream on all the critical areas and massage softly until the cream is completely absorbed by the dermis. Repeat the application at your convenience. The cream is based on vegetal oils, butters and active ingredients with high protective and emollient properties (including Tea Tree Oil) to prevent reddening. 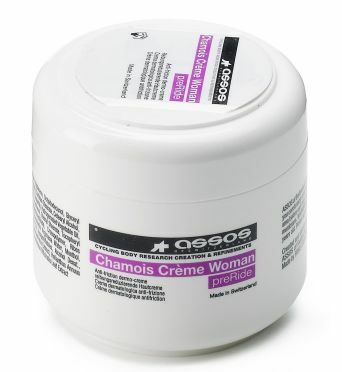 The Assos chamois creme is essential for longer rides cause it is formulated to reduce friction, inflammation and discomfort. 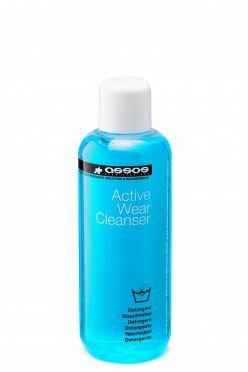 Applied to the skin, it gives a soothing, cooling effect and applied to the short it helps maintain suppleness, elasticity and freshness. 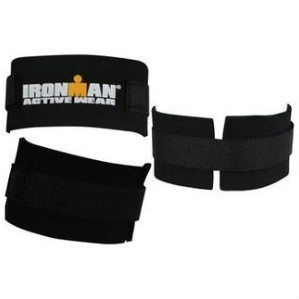 The Ironman Chipband is the ideal anklet to confirm your champion chip during the race. 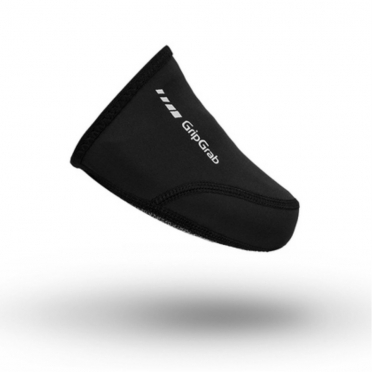 The GripGrab Easy-On toe covers are made of windproof and water repelling material to provide additional warmth for transitional and cooler weather rides. They slide on easily making them ideal for triathlon. Compatible with most types of pedal systems. The Castelli Linea Pelle chamois crème 100ml is a Dry formula skin lube, which is non- greasy, durable and allows skin to breathe. 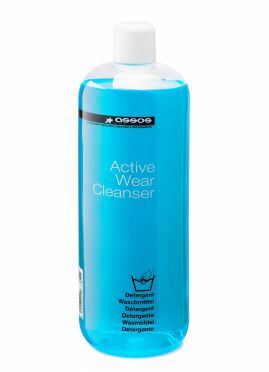 It offers anti-friction and contains natural tea tree oil. Apply directly to skin or to the seat pad. 100ml tube with hygienic dispensing pump. The Castelli Linea Pelle combo pack provides you a great range of options for your skin. 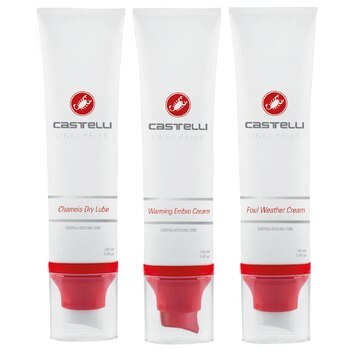 The Castelli Linea Pelle warming embro cream 100ml is a warming skin cream which creates a warming skin sensation. It can be applied directly to legs a few minutes before riding. 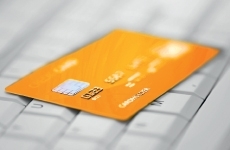 Rinse hands after applying. Contains 80% natural ingredients, 100ml tube. The Castelli Linea Pelle combo pakket (3 x 100ml) provides you a great range of options for your skin. Just as changes in weather conditions, terrain and riding intensity require different clothing, different situations may also require extra skin protection. 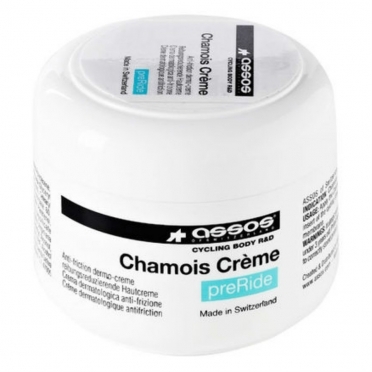 Linea chamois creme, warming embro cream and foul weather cream for the best comfort during long rides! The Castelli Linea Pelle foul weather cream 100ml is a water resistant cream which creates a barrier against water, wind and cold. Non petroleum, natural plant based ingredients (57%) will not harm synthetic fabrics. Apply to skin before riding, 100ml tube. Assos Skin Repair Gel for relieves discomfort and accelerates the healing of skin damage caused by friction against the saddle (tube 75ml). 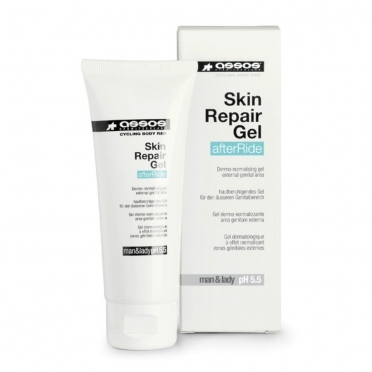 Assos skin repair gel gives effective, long lasting performance. Natural ingredients provide a skin balancing action, which aids the normal tissue repair processes with no irritation or discomfort. The Formula is based on natural ingredients with no colourants, perfume or preservatives. Suitable for men and women, all skin types.